In a line: Looks cool and works great with Qwik-Strap goggles and a non-ballistic ride. The iconic legend has returned! 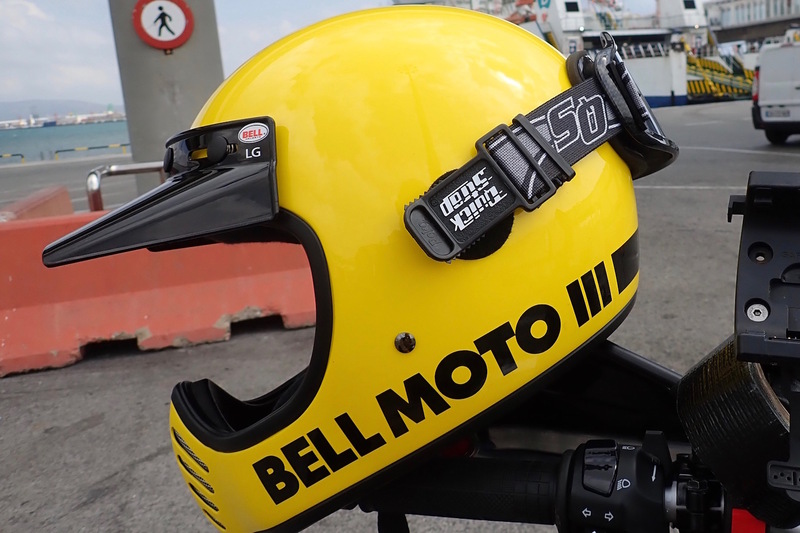 When the original Moto-3 was created back in the late 70s it was a product ahead of its time. Quickly becoming the industry standard in performance and style, today’s Moto-3 is everything it was style-wise, with the added benefits of modern safety and production advancements. From the fiberglass composite shell to the EPS-lined chin bar, we left no detail unpolished. The solid colors use the original style terrycloth liner, which is removable and washable. For years I’ve been mostly wearing a costly open face X-Lite 402 or an inexpensive Bell Mag 9 with full face visors. Best thing is the great visibility and protection plus you leave it on to talk to people (less faff with glasses, too). But sometimes I miss a full face’s ability to be securely cable-locked to the bike via the chin bar (doing so via the D-rings never fooled anyone). And it has to be said thee types lids look good too. 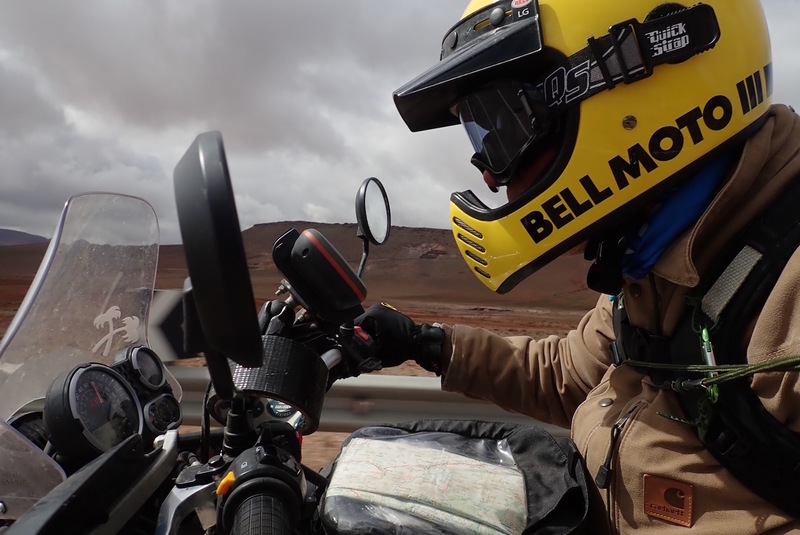 I don’t usually get on with ‘in your’ full face lids like an X-Lite X551 I tried, but after few thousand miles the Bell Moto III has suited me just fine. The wide aperture and the fact that the chin guard isn’t right in against your mouth makes it unobtrusive on the road while not feeling too claustrophobic when not on the move. Usually I can’t wait to get a full face helmet off my face. I’ve been riding a Himalayan with a low screen at no more that 65mph, and at that speed buffeting or neck strain hasn’t been a problem. There’s no annoying bobbing around and the wind noise is what you’d expect when riding a motorbike. Inside the lining has a nice, towel-like surface (terrycloth they call it) and all of it removed and refitted easily after washing – not all lids manage that. Only the double D-rings can be a bit fiddly – I seem to recall the X-Lite does it better. 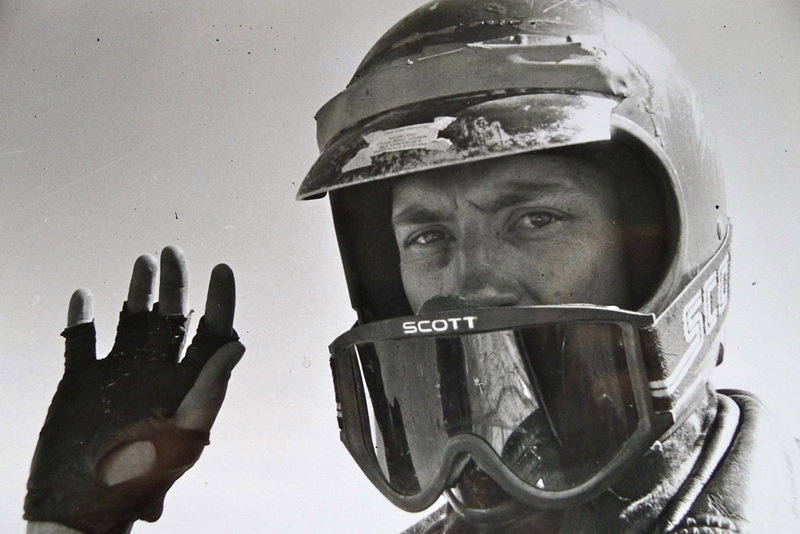 I had an original, but beaten up old Moto III in the early 1980s – a nice-looking lid but as cozy as a brick-like inside. Goggles were always a bit awkward to move easily one-handed while riding. 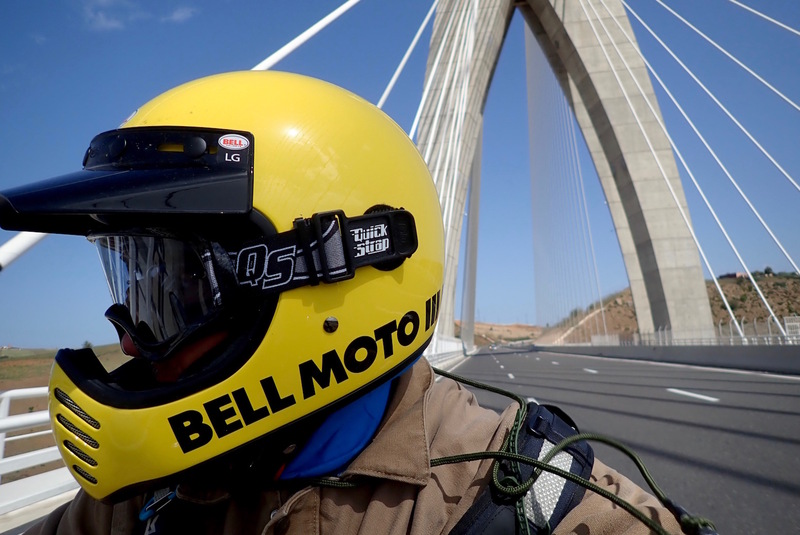 Decades later we have Qwik-Straps which I tried in Algeria last year and bought again for the Moto III. As you can see in the pictures, two short straps fit in your regular goggle anchor slots, then two separate attachment pads glue to the side of your lid. One is velcro (best fitted on the left); the other is a clip-and-pivot stud. Clip the right strap to this pivot then pass the goggles over your face attach to the velcro. Undo the velcro and the goggles swing down to the right. Or – as I got used to doing – unvelcro and swing the goggles over to the back and re-velcro. Goggles are securely out the way but not dangling. It’s a clever system which definitely helped make the Moto III a much better travel lid than I expected. 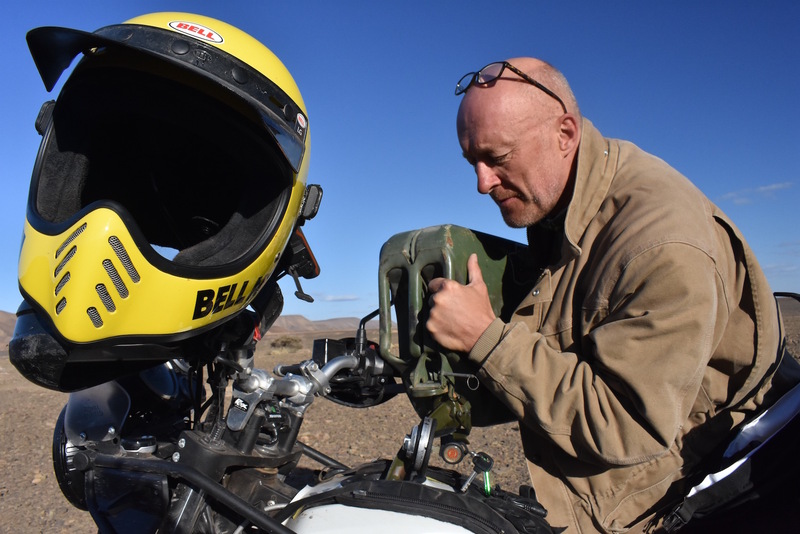 This entry was posted in Adventure Motorcycling Gear Reviews, AMH News, Project: Enfield Himalayan and tagged Adventure motorcycling helmets, Bell Mag 9 helmet, Bell Moto 3, himalayan, qwik-strap, Tested X-Lite X551 GT, X-Lite X402-GT. Bookmark the permalink.